Learning and research environments in academic campus context are undergoing fast changes. The changes are occurring both on the level of technology implemented to the environment and the space itself as the traditional cellular offices are increasingly being replaced by open work environments. Knowledge workers, such as the researchers, are at the core of creativity and innovation. The ideal working and learning environments support both creative thinking and collaborative interaction. This article explores the current understanding of the requirements of high quality research and learning environments, and it aims to examine the link between creativity and space. In doing so, I wish to highlight how the architecture of the workspace can respond to the requirements of a successful working environment and how immaterial elements, such as lighting for instance, can induce creative thought, achievement, and innovation and importantly enhance the well-being of the occupants of the space. Furthermore, I will look into how the architecture and technology of the space affect the dissemination of tacit and explicit knowledge amongst individuals and within groups. 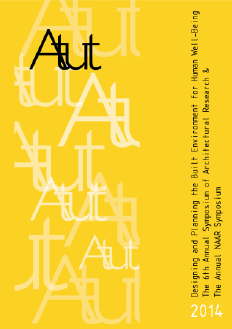 As part of my research project, aimed to provide new scientific information of the real user needs in academic working and learning environments and create concepts of hybrid multi-spaces, I will discuss in this paper how architecture and lighting design can support knowledge sharing, peer-to-peer interactions, creativity and innovation, which are imperative for success in knowledge work. Hence, the findings could inform the design of new learning and working environments suitable for both user expectations and knowledge production. Bluyssen, P.M., Janssen, S., van den Brink, Linde H & de Kluizenaar, Y. 2011, "Assessment of wellbeing in an indoor office environment", Building and Environment, vol. 46, no. 12, pp. 2632-2640. Boutellier, R., Ullman, F., Schreiber, J. & Naef, R. 2008, "Impact of office layout on communication in a science‐driven business", R&D Management, vol. 38, no. 4, pp. 372-391. Davenport, T.H., Thomas, R.J. & Cantrell, S. 2002, "The mysterious art and science of knowledge-worker performance", MIT Sloan Management Review, vol. 44, no. 1, pp. 23-30. De Kort, Y. & Smolders, K. 2010, "Effects of dynamic lighting on office workers: First results of a field study with monthly alternating settings", Lighting Research and Technology, vol. 42, no. 3, pp. 345-360.
den Heijer, A.C. & den Heijer, A. 2011, Managing the University Campus: Information to support real estate decisions, Eburon Uitgeverij BV. Descottes, H. & Ramos, C.E. 2013, Architectural Lighting: Designing with Light and Space, Princeton Architectural Press, New York. Dul, J., Ceylan, C. & Jaspers, F. 2011, "Knowledge workers' creativity and the role of the physical work environment", Human resource management, vol. 50, no. 6, pp. 715-734. Ehlert, P. 2009, "Communication with dynamic light - the change and influence of visual perception of space throughout dynamic light", PLDC 2nd Global Lighting Design convention, Berlin, pp. 218. Fisher, E.R., Badam, S.K. & Elmqvist, N. 2014, "Designing peer-to-peer distributed user interfaces: Case studies on building distributed applications", International Journal of Human-Computer Studies, vol. 72, no. 1, pp. 100-110. Graham, C. 2012, "Transforming spaces and identities: the contributions of professional staff to learning spaces in higher education", Journal of Higher Education Policy and Management, vol. 34, no. 4, pp. 437-452. Haynes, B.P. 2008, "Impact of workplace connectivity on office productivity", Journal of Corporate Real Estate, vol. 10, no. 4, pp. 286-302. Heerwagen, J.H., Kampschroer, K., Powell, K.M. & Loftness, V. 2004, "Collaborative knowledge work environments", Building Research & Information, vol. 32, no. 6, pp. 510-528. Hennessey, B.A. & Amabile, T.M. 2010, "Creativity", Annual Review of Psychology, vol. 61, no. 1, pp. 569-598. Issa, M., Rankin, J. & Christian, A. 2006, "A framework to assess the collaborative decision making process in interactive workspaces", Proceedings of the Joint International Conference on Computing and Decision Making in Civil and Building Engineering, pp. 14. Jankowska, M. & Atlay, M. 2008, "Use of creative space in enhancing students’ engagement", Innovations in Education and Teaching International, vol. 45, no. 3, pp. 271-279. Leslie, R.P. 2003, "Capturing the daylight dividend in buildings: why and how? ", Building and Environment, vol. 38, no. 2, pp. 381-385. McCullough, M. 2005, "Digital Ground: Architecture, Pervasive, Computing, and Environmental Knowing", The MIT Press, Cambridge. Nonaka, I. & Konno, N. 1998, "The concept of "Ba": Building a foundation for knowledge creation", Knowledge management: critical perspectives on business and management, vol. 40, no. 3, pp. 40. Pinder, J., Parker, J., Austin, S.A., Duggan, F., Lansdale, M., Demian, P., Baguley, T. & Allenby, S. 2009, The case for new academic workspace, Loughborough University. Rashid, M., Zimring, C., Wineman, J., Flaningam, T., Nubani, L. & Hammash, R. 2005, "The effects of spatial behaviors and layout attributes on individuals' perception of psychosocial constructs in offices", Proceedings of the Fifth International Space Syntax Conference, pp. 71. Salo, M. & Lackman, M. 1998, Oulun yliopiston historia 1958-1993, Oulun yliopisto, Oulu. Shamsul, B., Sia, C., Ng, Y. & Karmegan, K. 2013, "Effects of light’s colour temperatures on visual comfort level, task performances, and alertness among students", American Journal of Public Health Research, vol. 1, no. 7, pp. 159-165. Sleegers, P., Moolenaar, N., Galetzka, M., Pruyn, A., Sarroukh, B. & van der Zande, B. 2013, "Lighting affects students’ concentration positively: Findings from three Dutch studies", Lighting Research and Technology, vol. 45, no. 2, pp. 159-175. Smolders, K., De Kort, Y. & Cluitmans, P. 2012, "A higher illuminance induces alertness even during office hours: Findings on subjective measures, task performance and heart rate measures", Physiology & Behavior, vol. 107, no. 1, pp. 7-16. Steidle, A. & Werth, L. 2013a, "Freedom from constraints: Darkness and dim illumination promote creativity", Journal of Environmental Psychology, vol. 35, pp. 67-80. Tuan, Y. 1977, Space and place: The perspective of experience, University of Minnesota Press. Turner, A., Welch, B. & Reynolds, S. 2013, "Learning Spaces in Academic Libraries–A Review of the Evolving Trends", Australian Academic & Research Libraries, vol. 44, no. 4, pp. 226-234. Van Bommel, W. & Van den Beld, G. 2004, "Lighting for work: a review of visual and biological effects", Lighting Research and Technology, vol. 36, no. 4, pp. 255-266.
van Sprang, H. 2012, "The effects of workplace design on knowledge worker’s perceived productivity in Dutch Universities of Applied Science. ", 11th EuroFM Research Symposium. Veitch, J.A., Stokkermans, M.G. & Newsham, G.R. 2013, "Linking lighting appraisals to work behaviors", Environment and Behavior, vol. 45, no. 2, pp. 198-214. Vischer, J.C. 2008, "Towards an environmental psychology of workspace: how people are affected by environments for work", Architectural Science Review, vol. 51, no. 2, pp. 97-108. Wen, Y. & Agogino, A.M. 2011, "Personalized dynamic design of networked lighting for energy-efficiency in open-plan offices", Energy and Buildings, vol. 43, no. 8, pp. 1919-1924. Wen, Y. & Agogino, A. 2010, "Control of wireless-networked lighting in open-plan offices", Lighting Research and Technology, vol. 43, no. 2, pp. 235-248. Wilson, G. & Randall, M. 2012, "The implementation and evaluation of a new learning space: a pilot study." Research in Learning Technology, vol. 20, no. 2, pp. 14431. Yun, G.Y., Kim, H. & Kim, J.T. 2012, "Effects of occupancy and lighting use patterns on lighting energy consumption", Energy and Buildings, vol. 46, pp. 152-158. Zoller, F.A. & Boutellier, R. 2013, "Design principles for innovative workspaces to increase efficiency in pharmaceutical R&D: lessons learned from the Novartis campus", Drug discovery today, vol. 18, no. 7, pp. 318-322.